RBTH presents a news digest based on Instagram photos from Russia. 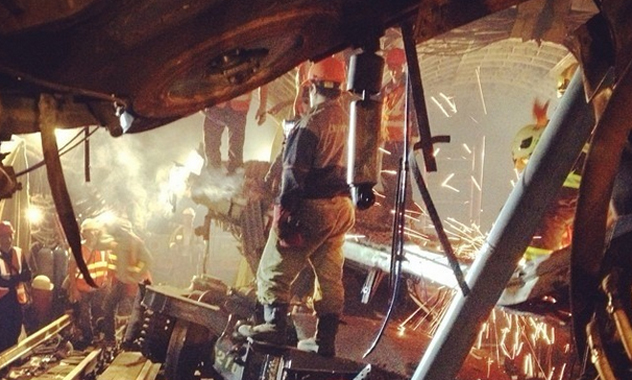 Tradegy in Moscow: at least 21 people died in an accident on the Moscow metro on Tuesday. Russian tennis player Maria Sharapova won the Best Female Tennis Player award at the 22nd annual Excellence in Sports Performance Yearly (ESPY) award show. Gorky Park held another spectacular event in Moscow, the Flowers Festival 2014. People could enjoy beautiful flower art pieces. Moscow in July is very hot. During the weekends, inhabitants of big cities like Moscow or Saint Petersburg escape to their dachas. People spending their summer vacation on Baikal lake in Eastern Siberia. The bilateral UK-Russia year has been marked by numerous artistic events. An installation entitled “Universal Mind” at the New Media Night event at Nikola Lenivets.